Our quality work allows for us to do the job right the first time. Our technicians are waiting to hear from you. Your comfort is our guarantee. Our team can provide you with a free estimate on new installations and replacements. See the different ways you can save money today. No matter the problem, we can fix it for you. Free Estimates through our quick and simple online form. Read our reviews or leave us one of your own! 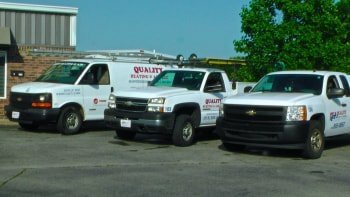 Quality Heating & Air LLC has more than 20 years of experience helping homeowners and business owners in Murfreesboro area get air conditioning repair, heating maintenance, and all types of HVAC services. When you have trouble with your heating system or AC, it is best to partner with a local HVAC company that provides detail-oriented work at affordable rates. We are proud to have been voted the “Favorite Heating and Air Company of Rutherford County” for three years in a row by the Ruthie Awards. 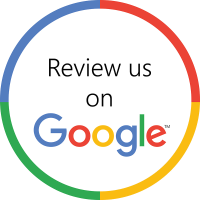 We get excellent reviews on Google, and we love helping our customers in Murfreesboro get the reliable services they need. If you have an HVAC service issue, need an air conditioning replacement, HVAC installation, or any other issue with your central air conditioning, central heating of any sort, call our office at (615) 895-8667 or fill the request form to schedule. Our owner personally provides all estimates so the costs are well understood. Our owner is a certified HVAC contractor, licensed electrician, and plumber. We always strive to deliver the highest quality service, including energy-efficient heating. Our owner has taught HVAC classes at Tennessee Technical College for many years. We won’t leave your home or business until you are fully satisfied. Our Maintenance Saving Package makes our services even more affordable! We are the HVAC Business that was featured on Forbes in 2018! We are featured in Forbes Magazine in 2018 and if you want to learn how we use cutting-edge technology to improve our business and make your experience better, read Is Your Business Out Of Control? No matter what issue you are facing, our HVAC contractors are only one phone call away and are always prepared to assist you. To retain the quality HVAC services you deserve, contact our office today at (615) 895-8667 to speak with an expert HVAC contractor. Check out our other reviews!